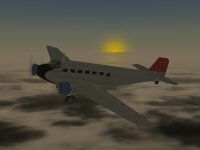 The Junkers Ju 52 was a transport aircraft of the mid-20th century, featuring corrugated aluminum skin and radial engines. 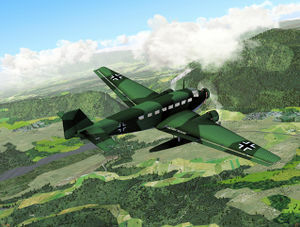 The predominant version featured 3 radial piston engines, known as the Ju 52/3m. Float-plane and single engined versions also existed.